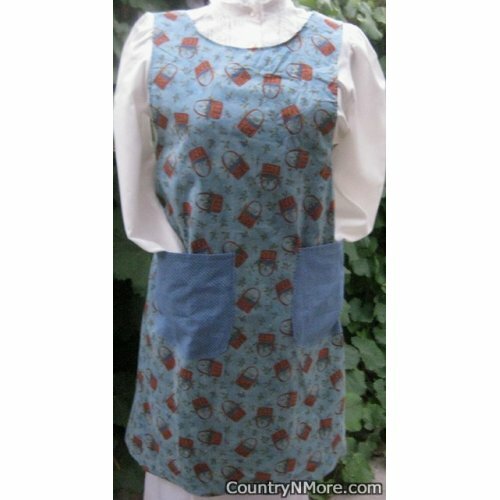 This cute canning apron has baskets throughout the print. The country baskets, are set against a country-bluish gray background. We used a blue print for both the pockets and straps. 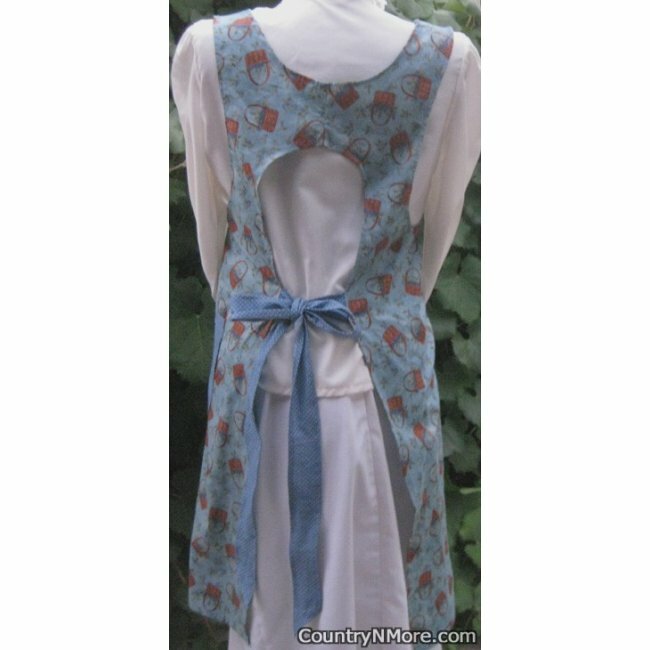 Perfect for wearing out in the garden, working outdoors, or cooking your favorite meal in the kitchen.